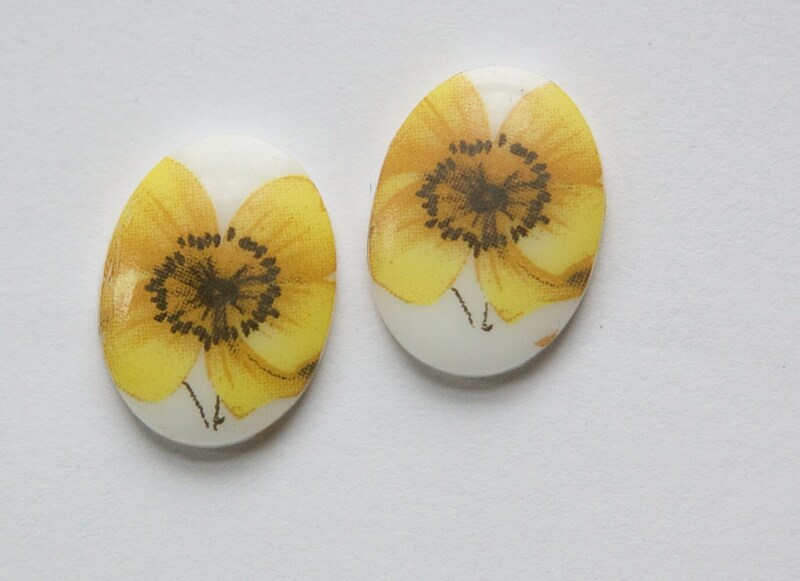 These are vintage glass cabochons that were made in Japan. They have a single flower on the front in shades of yellow. These glass cabs measure 18mm x 13mm. You will receive 2 pieces. Great cabs and fast shipping! Thank you!